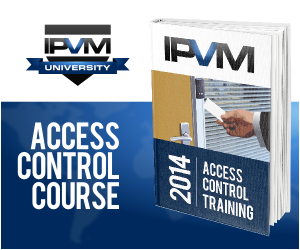 Our next IPVM access control course will meet live online, starting on April 15th for 12 times over 6 weeks (Tuesday and Thursday from 11am - 12pm ET) teaching access control - regulations, doors, locks, readers, controllers, networking, management software and more. Have a busy schedule? All classes are recorded so you can watch on-demand, and you'll keep your access to them as a member. 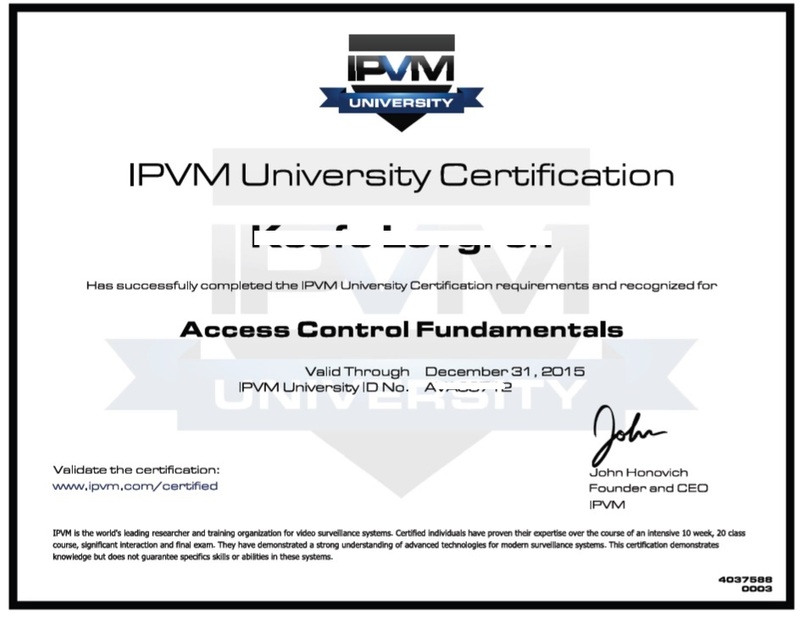 Those who successfully participate and pass the final shall become IPVM Access Control Certified (see list of IPVM Certified Professionals).  All materials for the course are selected from readings available to IPVM PRO members, but presented in a structured format that includes weekly quizzes and discussions to drill key concepts home. 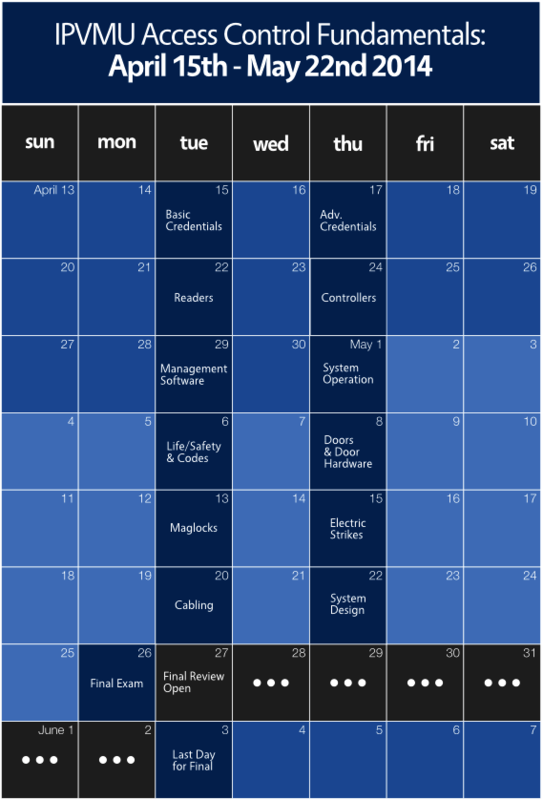 For more details on the curriculum and topics, be sure to check out the Access Control class syllabus. 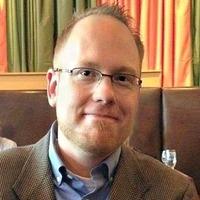 Hi, how much time is each session and are you planning any training at the GMT timing (for the EMEA region)? Each session runs about 60 minutes, and additional (optional) time is set aside at the end of each class to cover general questions for a total period of about 75 - 90 minutes. The live sessions are scheduled for 11-12pm ET, but everything is recorded and viewable for those who cannot make the live sessions. In addition, there is a dedicated discussions area for class questions for those unable to ask them live. There have been many EMEA-located members who have completed the course, so the format works for those in other timezones. There is a 5 hours time difference between US ET and GMT. This means the course will start at 16:00 / 4pm which is during normal business hours. We set the time at 11 am ET to help European members attend in the late afternoon / early evening.